Mayonnaise is almost anyone’s go-to condiment when making a sandwich. It tastes great on turkey, BLTs and even avocado sandwiches. Unfortunately, as you get older you begin to see the harsh realities of this world and with them the harsh reality of consuming certain foods. While it tastes delicious, adding both a tang and a kick to your sandwich, the cons of store-bought mayonnaise far outweigh the pros. This is the list of ingredients in Hellmann’s Real Mayonnaise: Soybean oil, whole eggs and egg yolks, vinegar and sugar. As you can see, this so-called “real mayonnaise” is packed with GMOs. While GMOs are not yet proven for human health (FDA does not require independent testing of genetically engineered food) we are still consuming them. More like what’s good about GMOs! When GMOs were introduced in 1996 chronic illness in Americans jumped from 7% to 13%. They lead to organ damage, gastrointestinal and immune system disorders, they can accelerate aging, and infertility. Genetically modified food can leave toxins inside our bodies that can lead to long-term problems. Calories, Fats, Sodium And Cholesterol. One tablespoon of store-bought mayonnaise contains about 90 calories. Individuals that are eating mayonnaise are regularly overshooting their recommended caloric intake without even realizing it. A tablespoon contains 10 grams of fat, 5 mg of cholesterol and 90 milligrams of sodium. Excess fat can lead to diabetes and other heart conditions. Too much cholesterol can build up in your arteries, which can lead to heart disease and stroke. And too much sodium can lead to high blood pressure. The good news is, you don’t have to rule out ALL mayonnaise. 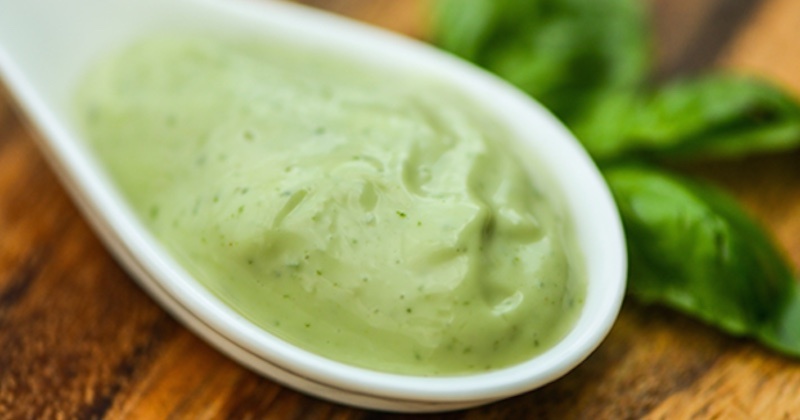 Here are some healthy versions of this creamy condiment that you can make yourself. 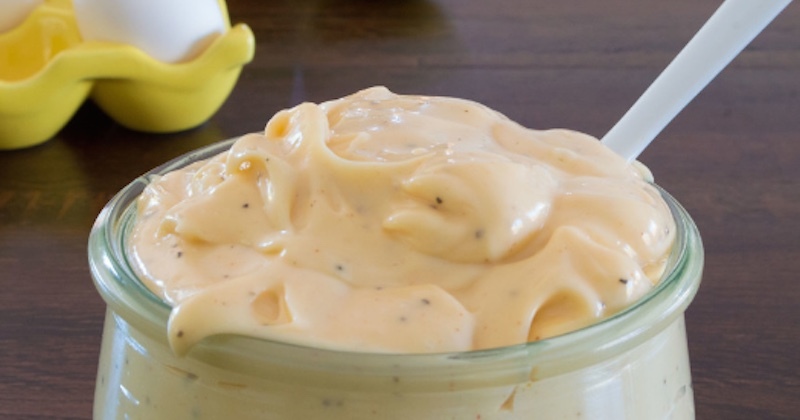 Making homemade mayonnaise is easy, and it tastes better than most store-bought versions. In addition, you can choose to include only healthy ingredients in your mayo. This way, you can avoid the refined vegetable oils that most commercial brands use. You can also experiment with your mayo, adding many different ingredients and flavors. Before you start, make sure all the ingredients are at room temperature. Put the egg yolks in a food processor or blender. Sprinkle with salt and add water. Start blending while slowly pouring the oil into the feed tube. After the mayo has gotten thick, add lemon juice slowly to taste, and gently mix with a spoon. Note that the egg yolks in mayo are consumed raw. If salmonella is a problem where you live, then this may be a problem. And, while the basic recipe above is great to start with, there is more to mayonnaise than just oil and eggs. It can be prepared using many different ingredients. 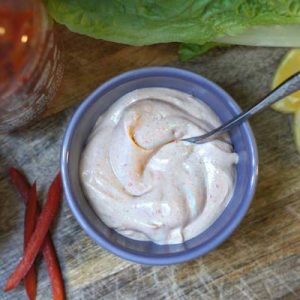 Here are five unique homemade mayonnaise recipes that are pretty healthy. Mayonnaise can be prepared in a variety of ways, using different oils, condiments or herbs and spices. You can store the mayo in an airtight container in the fridge for up to a week. 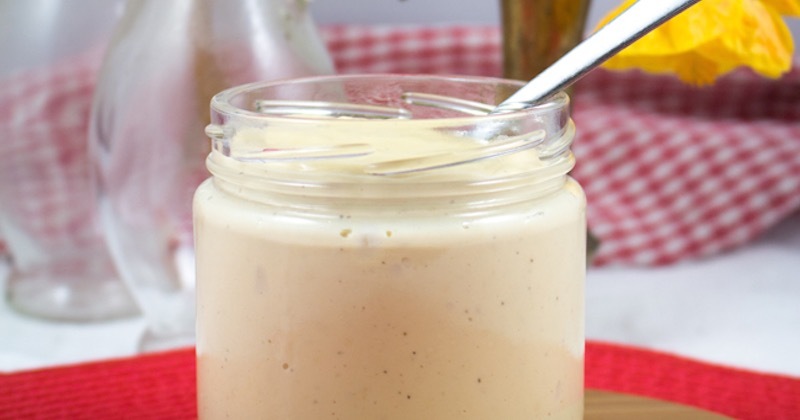 There are many ways you can enjoy your homemade mayo. You can spread it on a sandwich, include it in a chicken salad or use it as a base for dressings and dips. However, keep in mind that homemade mayonnaise is still very high in calories, so be mindful of your portion sizes. 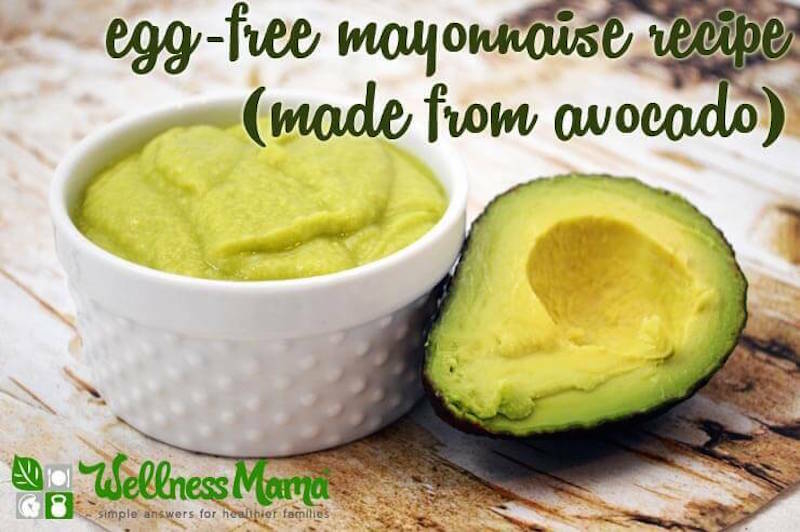 At the end of the day, a bit of homemade mayonnaise with high-quality ingredients is a delicious way to add healthy fats to your diet.